Timeless design combined with German engineering. 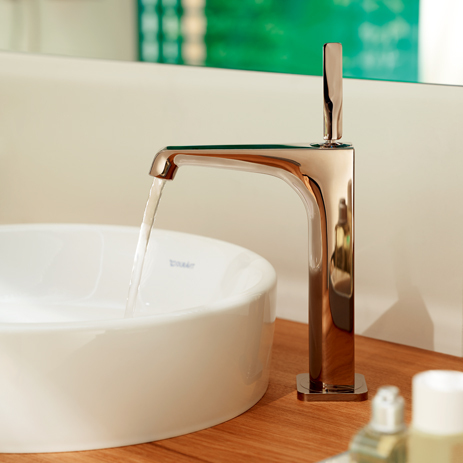 Hansgrohe and Axor have a world renowned reputation for excellence in the quality of their products and up to the minute style. Offering a huge range of of designs and beautiful finishes to create unique and individual designs. Below are just a few of the most popular products from their range we have available on display in our bathroom showroom in Bolton. The Langley Interiors showroom in Bolton is dedicated to equipment from hansgrohe and AXOR, and has a large range of different products in beautifully designed room-sets ready to view. Many of our displays are also plumbed to offer the full experience before purchase. Hansgrohe offer a fantastic range of different shower heads catering to different budgets and style tastes. All of them are excellent value for money and uncompromising quality. 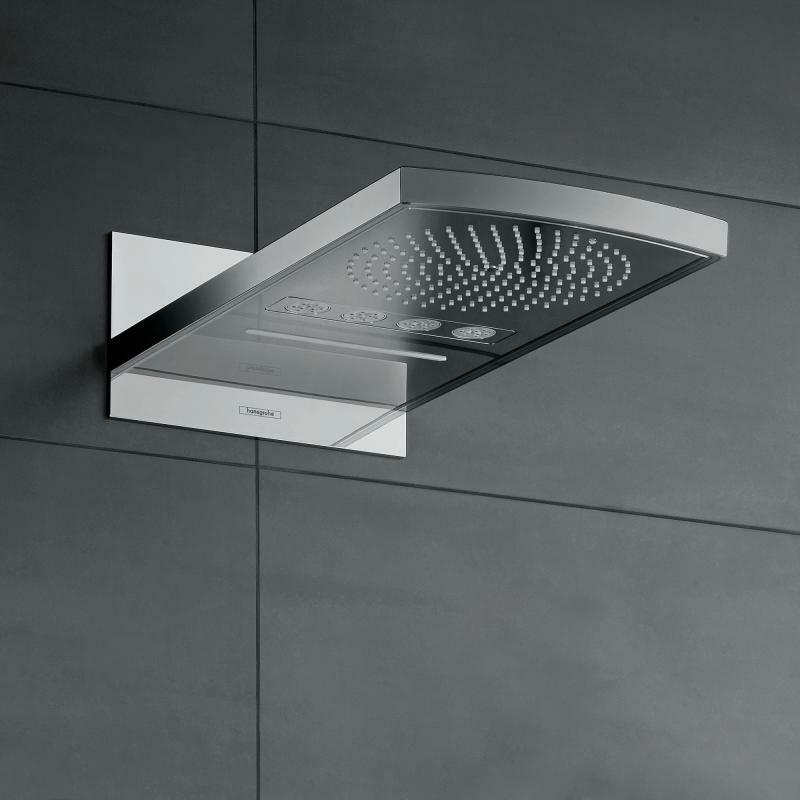 We have a range of Raindance and Rainmaker hansgrohe shower heads on display, including fixed over head and hand showers. This includes the Raindance Rainfall and Raindance E.
This elegantly designed tap features a single lever, laminar spray and pop up waste. Available in 15 stunning colours available to view in our Bolton based bathroom showroom. Colours include Chrome, Gold, Red Gold, Nickel and Brass. 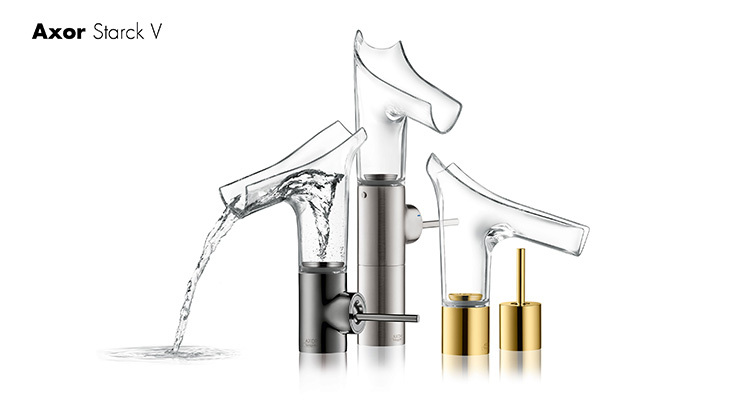 Beautifully extravagant tap with a spout made of glass designed by AXOR and Philippe Starck. The fascination of the water vortex See this in action in our bathroom showroom. Modern combination of chrome and white accent – this look is also available as a fixed and hand held shower head. 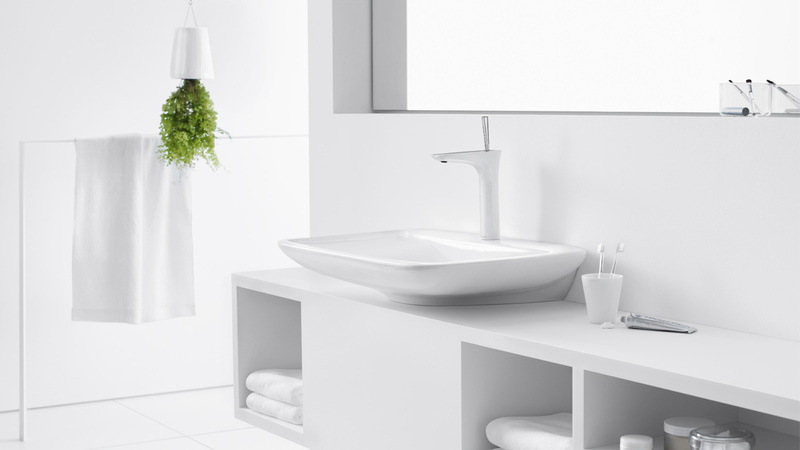 Call us on 01204 525432 to arrange an appointment to view hansgrohe and AXOR bathroom equipment in our showroom.